Besides the German and Scottish mercenaries, there served some English soldiers on the Hungarian battlefields in the 16th-17th centuries. 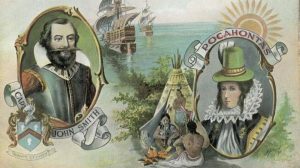 Everybody heard of the adventures of Captain John Smith (1580-1631), the English soldier who set out to America where he met Pocahontas. Not many know that before visiting the New World, he had fought in the siege of Székesfehérvár and fought at the taking of Lendva Castle in Hungary. Yes, he also served in the army of Mózes Székely and it was the Transylvanian Prince Zsigmond Báthory who knighted him. I wonder if he had learned the Hungarian language during these years. He was born in England, Lincolnshire in 1580 and he was 16 when he crossed the Channel and joined the French army. During his early years and travels in West Europe, he studied Machiavelli and read the books of ancient philosophers. He learned new languages quite easily. The young John Smith sailed the Mediterranian Sea and he was 20 when he went to Vienna. It was the place where he met some Imperial officers who told him about the plight of a certain Hungarian fort which was in great peril because of the Turks. At that time, a war was raging against the Ottoman Empire. We call it now the 15-Year-War. 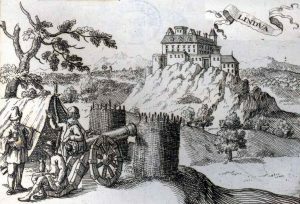 Smith did not hesitate much, set out to free the English officers who had been trapped in Lendva Castle, Hungary. He joined Count Meldri and General Kisell, the commanders of the Christian forces who were about to bring reinforcement to Lendva. They listened to his advice and it was how they could liberate the fort. And it has happened like this. In addition to this, Smith’s men placed several thousands of burning torches to the western side of the castle to confuse the Turks. After this, Smith stayed in Hungary and began to fight against the Ottomans. He gave some good ideas to the siege of Székesfehérvár. These were welcomed by the leaders, namely Prince Mecoeur, Giorgio Basta and Archduke Ferdinand. Allegedly, he invented a new type of hand-grenades, too. Then, Smith joined Count Meldri and went to Transylvania where the situation was very confusing. As Smith had come to like the Hungarians, he always joined the side where the Hungarians were and fought against the Turks. Yet, there was a period when he fought against the Habsburgs and Voivode Mihai Viteazul. It was one of his deeds he achieved against the Turks that made him a Hungarian nobleman of Transylvania. It happened in Transylvania, that a Turk envoy challenged the soldiers of the Imperial army for a duel. The brave Turk told that both armies should appoint a champion to fight until the death. John Smith answered the challenge and has won the duel. Yet, the Turks have repeated the challenge on the next and on the third day, too. Needless to say, our hero has killed his opponents one by one. 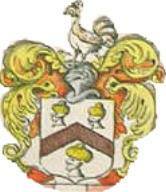 Smith received his ennoblement officially in 1602 for this deed, see the coat of arms in the picture. He was quite proud of his victory and later he named a group of islands in Virginia after this: „Three Turk Heads”. We can see this sentence on his tombstone, too. Sadly, his success had been cut in half when he was injured and captured by the Turks at Vöröstorony. The Turks sold him to slavery but his owner`s wife fell in love with him and sent him to the Kaszpi Sea. Unfortunately, his life just became worse and when they were taking him for the daily whipping, he killed his new owner and ran away to the Russian steppes. There, a Russian lady hurried to his help. Then, after some detour to Hungary and Prague, he returned to England and joined the Virginia Company in 1607. As for me, I think he had done good service in helping the Hungarians against the Ottomans. I would rather remember him as a Hungarian nobleman, a hero of the Valiant Order of the Borderland.